Hi, my name is Giancarlo. As a DACA recipient, I actively seek to challenge the stigma of what it means to be undocumented, a word that I feel hides the dreams and resilience of so many people who call America their home. After being afforded the privilege to attend the University of Florida, I found the courage to speak out on behalf of the immigration community here on campus. I hope that you carry my story and the immigrant community in your heart when you vote this November. 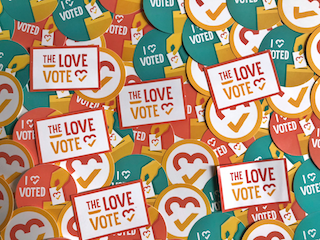 Show Giancarlo love + inspire others + get voting info + get event invites + get stickers + create change!